Join PFF Fantasy senior analyst Scott Barrett 10:30-11:30 a.m. 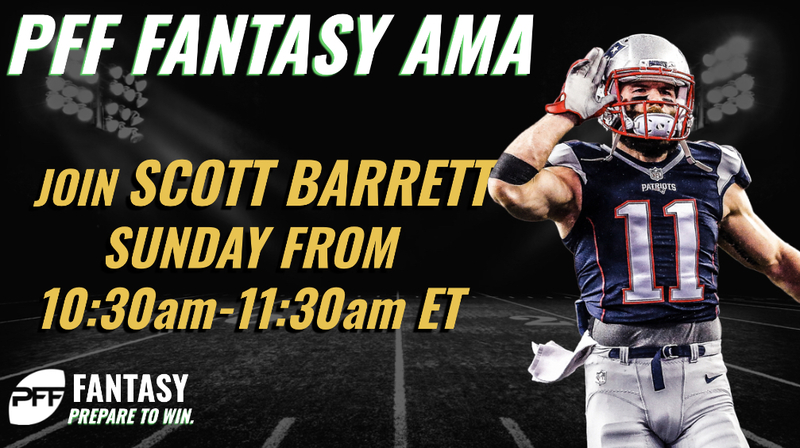 ET Sunday for a live fantasy AMA to help fantasy football owners prepare for Week 14 of the NFL season. Need to know who to start? Who to sit? Who to pick up and stream? Scott’s got all the answers ready. Sunday’s chat is now closed. Good luck in Week 14! We’ll be back Tuesday with a new live chat to look at Week 15.